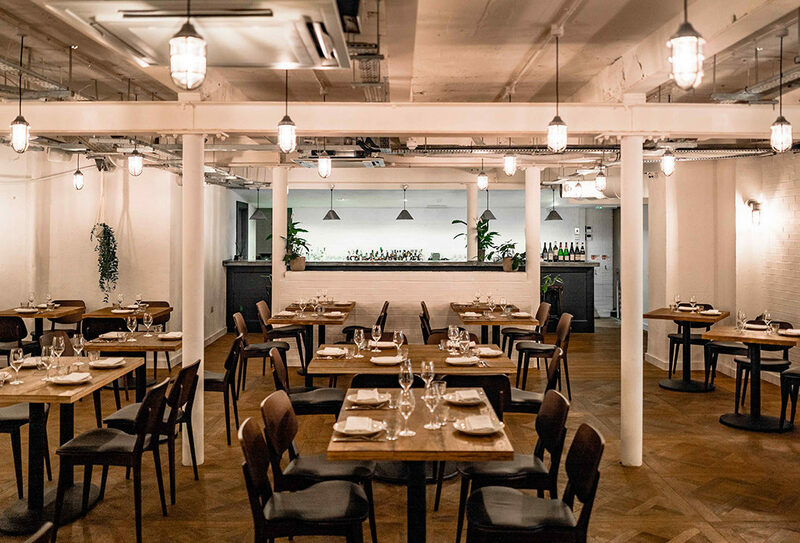 From wine bar to restaurant to wine bar AND restaurant, the Sager + Wilde empire keeps expanding and we’re into it. Their new all-day venture Fare is party up top and business in the basement. 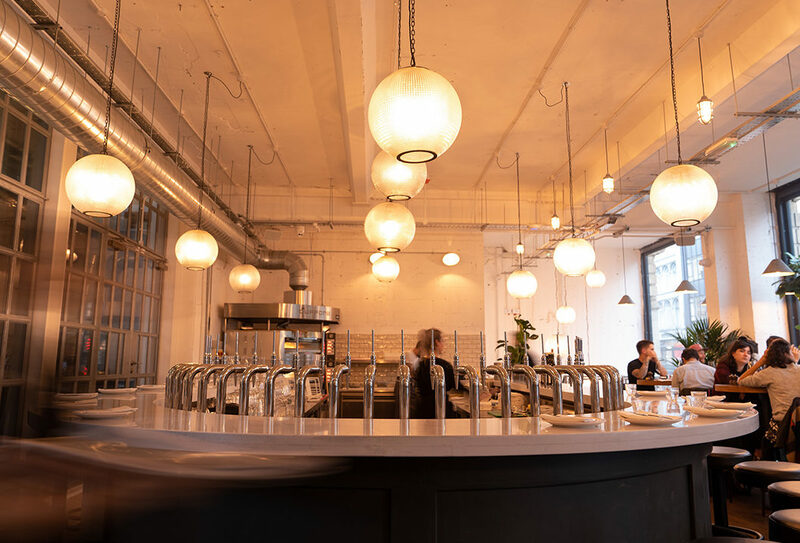 Fare is split into two distinct areas: the upstairs bar is a lively, fun space for Friday night (or any night) drinks, Sager + Wilde Hackney Road style. And downstairs? It’s all about casual dining in a stripped-back setting: think white walls, exposed ceiling, hanging plants and of course, a wine cellar. Former Ellory chef Thomas Raymond is heading up the kitchen here, serving up Med-inspired plates. They’ve gone for a straightforward snacks, starters and mains approach; our highlights were the pickled carrot, sesame bread and curd (great for pairing with your inaugural cocktail), the beef kofte with olives and the whole plaice in curry butter. With former S+W head bartender Marcis Dzelzainis coming on board as co-founder at Fare, you’re right to expect a heavy focus on drinks. The wine list is over 250 strong, and if Michael (Sager) isn’t on hand to navigate you through it, the staff are just as knowledgeable. They might have over a dozen cocktails on tap, but it’s not just about the booze; they’ve even distilled their own softs (we tried, and loved, the pine soda). The location. 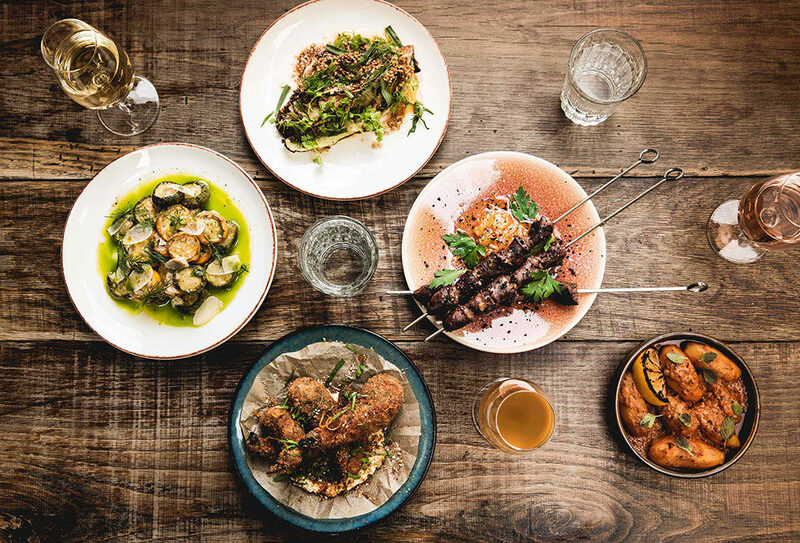 Opposite Clerkenwell Grind and a stone’s throw from Breddos, this is a much-needed perpetuation of notable foodie openings in the area. If you can, have a drink upstairs after your meal – it’s buzzy and fun.